When I make quesadillas, I like to shred my own cheese with a box grater. (If you live near an IKEA, this is my favorite box grater—it has a handy little container nested inside to collect the food you’re grating.) 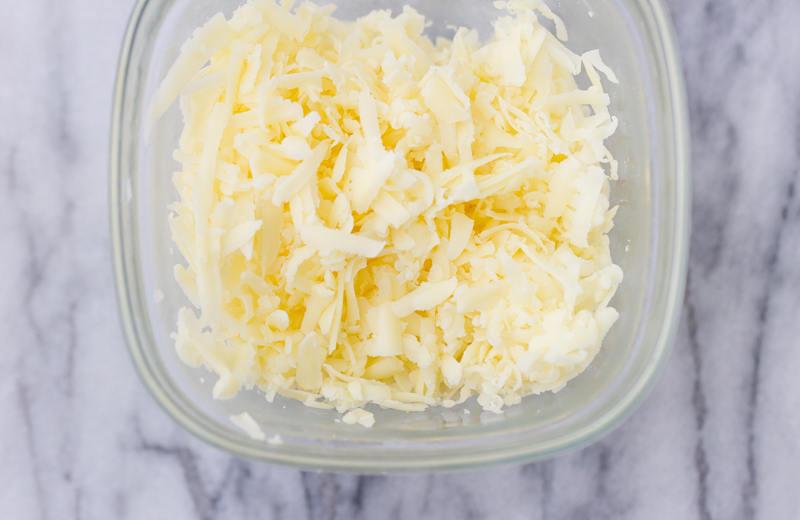 It adds a few minutes to prep time, but store-bought shredded cheese has anti-caking ingredients added that affect its ability to melt smoothly, so it’s totally worth it. That said, pre-shredded cheese still works, so if you’re in a time-crunch, use 1 cup of store-bought shredded cheddar instead. Savory pumpkin quesadillas adapted from Bake Your Day's Pumpkin Cheddar Grilled Cheese . In a small bowl, stir together the pumpkin, sage, garlic powder, nutmeg, salt and pepper. Lay the tortillas on a clean work surface. Spread 1/4 cup of the pumpkin mixture onto half of each tortilla, then top the pumpkin with the cheese. Fold the tops of the tortillas onto the filling and press gently to seal. Heat a large skillet over medium-high heat. Spray a small amount of oil into the skillet—this is optional, but I like doing this because the tortillas get crispier and it helps make sure any overflow from the quesadillas doesn't stick. Place two quesadillas in the skillet. Cook for about 5 minutes, or until the bottoms of the quesadillas are crispy and lightly browned. Carefully flip the quesadillas over and cook the other side for 5 minutes more. Repeat with the remaining quesadillas. 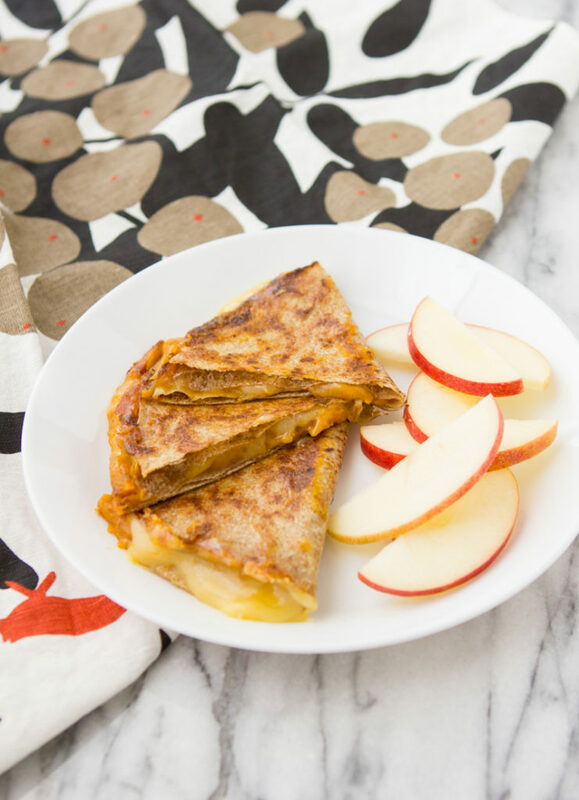 Use a sharp knife to cut the quesadillas into 3 equal triangles and serve. I am so going to make this! I have way too many cans of organic pumpkin purée because I scored at Costco last year. I'd love to move beyond Pumpkin Loaf! Try the grilled cheese too! I don't even know how many times I've made that recipe over the years and I never get tired of it.